In a time when for some, the message on your mobile arranging a meeting is more interesting than the actual person that you have arranged to meet, one wonders how you can grip the attention of a distracted crowd with quiet music if you are A) not a talented genius or B) a talented genius that no one in the media has called a talented genius. 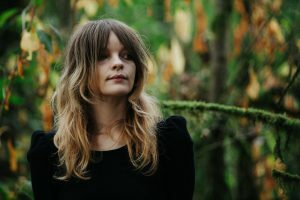 I read somewhere that Jessica Pratt played a show where there was talking all the way through, I read somewhere that Ray LaMontagne stormed off stage when certain audience members talked through a song (and he’s a big act). So what are the protocols for seeing quieter music that the audience won’t respect till they’re told they should? You payed on the door, it’s a free country, you can do what you want, alcohol is served, glasses are clinking, bar staff are throwing bottles into bottle bins, cash registers are opening and closing, money is exchanging hands, you have to ask your friend what they want to drink? You arrive late, the act has started, you can’t see that well, you don’t know the songs, you came because your friend heard about it from someone else, there’s potential sexual partners there, who’s playing? Jessica Pratt? Who? You bought a ticket two months in advance, it’s a free country, you can see all kinds of thought provoking artists, you don’t really drink, the bar staff are quite rude because they see a different act every night and have to deal with all sorts. You arrive an hour before the show starts, you find a seat near the front, you are so excited to see the show from such an excellent spot. You know all the songs, you bought the records when they came out, you are there with your partner who also loves the act you are about to see. Jessica Pratt walks on stage, you clap. Location is everything, you play in a theatre, people don’t talk through your set, but you have to be big to book a theatre. So what should quiet musicians do? That is quiet musicians that happen to be playing at a hip place where people might go whoever is playing, quiet musicians that aren’t appealing to everyone and have trouble getting the room’s attention despite their talents. The problem is that the talkers want the right to talk and the listeners the right to listen – the musician loves the listeners and hates the talkers but doesn’t want to destroy the vibe for themselves and the listener by getting frustrated with the talkers, asking them to be quiet – or asking them to leave (they’ve payed) because it does usually come to that and then everyone is upset. The listener’s show is ruined, the artist’s show is ruined and the talkers night out is ruined. The worst thing is the fans that love her and still talk through the set? Gags? Threats? Shaming? Aggression? – doesn’t work. Crying might work?Soft pleas to listen? Of course, it’s worth a try but one wonders is the problem that the artist isn’t good enough? Actually, no, it’s generally the other way ’round, the audience isn’t good enough, that is elements of the audience find it difficult to be respectful, be empathetic, feel the vibe of the room, consider that others may want to listen. How could anybody talk through First Aid Kit’s magical harmonies? When I saw them in Sweden the venue (Berns) was like a large bar that suffered from all the aforementioned issues. But I guess if you don’t know not to talk through the act’s music, being told to be quiet would simply put you on the defensive. What if First Aid Kit came and talked all through your favourite TV program? Or tuned up the guitars as the baby was falling asleep? You’d be upset, angry even but that’s your own private space, your rules. Is it different in public? You wouldn’t talk through a play, you wouldn’t talk through a speech at a dinner, so why would you talk through a sensitive quiet musician singing soft thoughtful words to an audience that on the whole might want to listen and especially if you actually like it? The first song is Hollywood by Jessica Pratt from her first album released in 2012. The second song is Jacquelyn In The Background from On Your Own Love Again released in 2015. Go and see her, help her become more successful so you can listen to her properly, enjoy her music and everyone can go home happy. Last but not least, anybody know what’s happening towards the end of Jacquelyn In The Background?